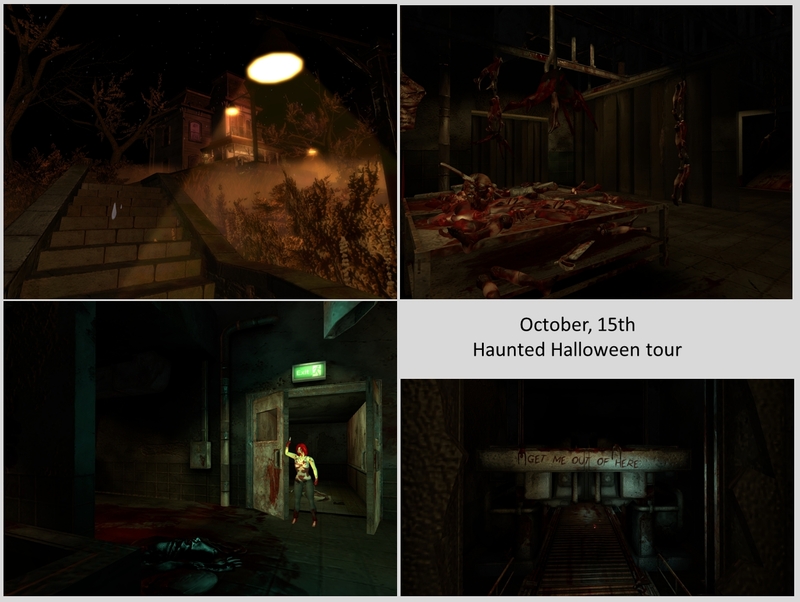 Saturday, October 15th, I explored another place recommended in the SL Destination guide, the haunted Halloween tour. The description is promising: “Do you dare take a ride in the Haunted Halloween Tour? Strap in and prepare to experience haunts, ghouls, death, scares, and a descent into madness itself. It’s definitely not for the faint of heart!“. The landing brought me to another haunted house, just like the one I visited before at Templeton Cove. 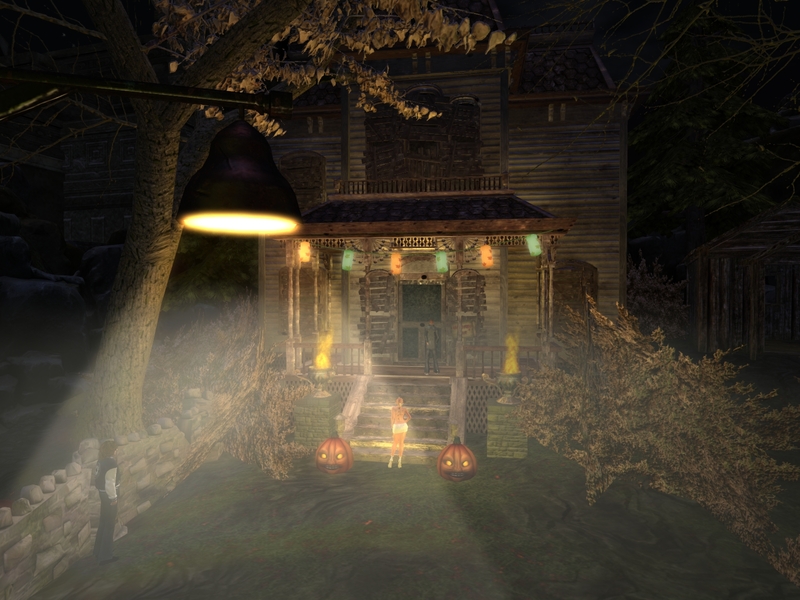 The front door of the haunted house brings you to another sim and I did recognise it immediately. Wow, still there! This Halloween tour is just great, a ride in a coffin and really bloody and scary. I made it at least 3 times already, every year again. 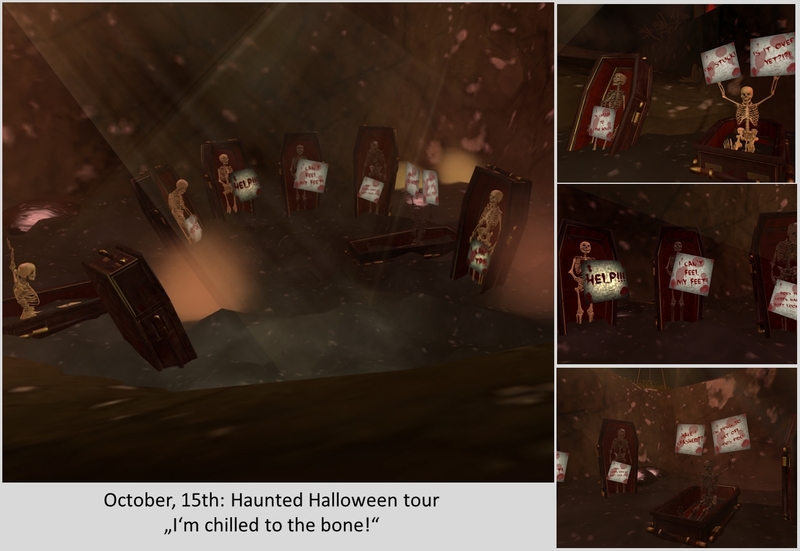 And I reblogged a post from Inara Pey about it last year: “The haunted Halloween tour“. I did the ride again – and it has not lost it’s attraction. It is simply great! And in the end truely full of Humor. So here are some impressions from it. Don’t miss this Halloween tour!